The form is symbolic of Mother Nature’s womb and here we can see the representation of male and female, with the feminine side, moon, and the heated stones which are the masculine sun being brought into the womb of the mother. The structure of the Temazcal is also an important element in its functioning and represents the Maya understanding of the universe. The ancient ceremony is known even through the ages thanks to the communities who continue to practice and teach this tradition. 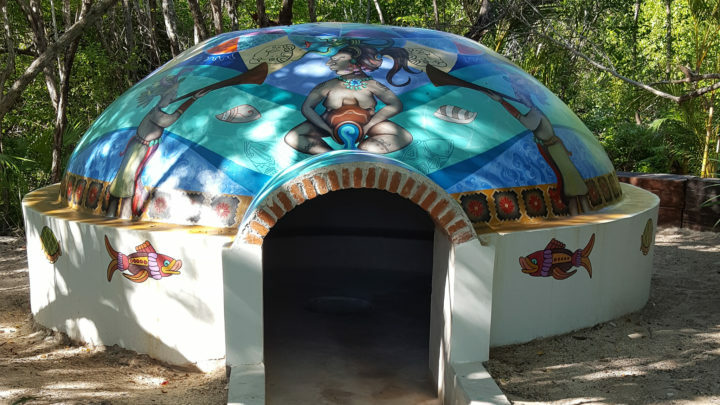 The Temazcal ceremony follows certain steps that are intended to bring the participant closer to a connection with nature, their own inner nature and ancestral memory, and rebirth of a higher consciousness. In this ritual contained within the small, domed Temazcal, everything has meaning and significance. 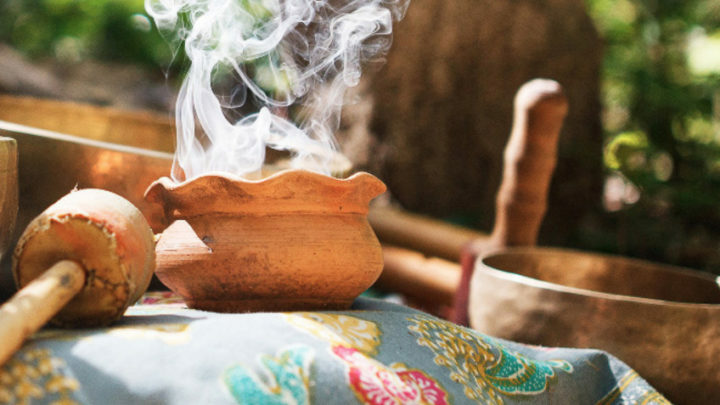 The ritual will blend the ancient Mayan ceremony with the beautiful natural surroundings, to focus on blessing Mother Earth and the four elements earth, water, fire and air and our personal relationship to them. The warm steam aids in purifying the body, while chanting, music, herbs and guided meditation aid in purifying the space, both internally and externally. The ceremony is guided by a “Temazcalero”, who is present to encourage and guide the journey into the “inner self.” He or she will perform an opening ritual to call upon and address the four cardinal points, and the fifth in the center. Then the Temazcalero will create a blend of herbs and burn copal or incense to initiate the ritual.